Is it only we who are longing for Christmas? Now it is finally time for Fotomaraton Sweden to arrange an Advent calendar. 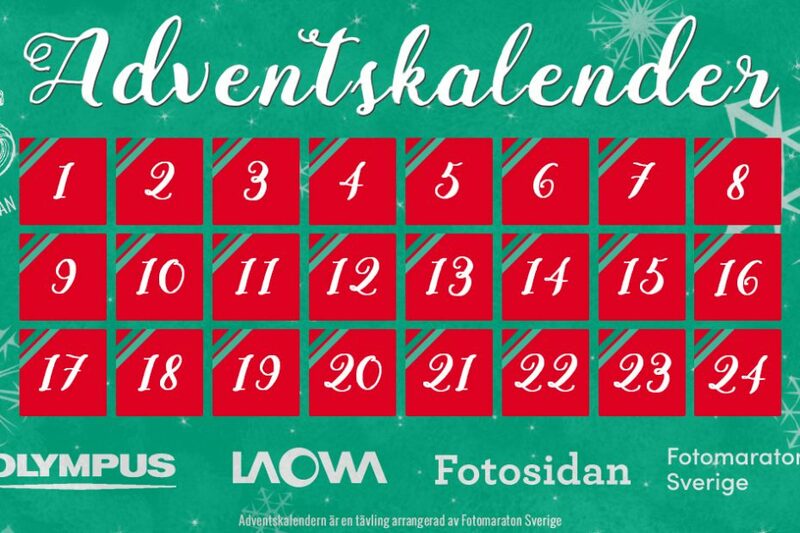 Every day from December 1st, all the way until Christmas, we will open a new gap Fotomaratonsverige.se/advent. Behind the door you will find a theme that you should interpret in a picture. When Christmas is coming you should have photographed 24 pictures, 1 per theme, in the right order. You submit your photos by sending them to jul@fotomaratonsverige.se via wetransfer.com . The last day to submit your contributions is December 26th.